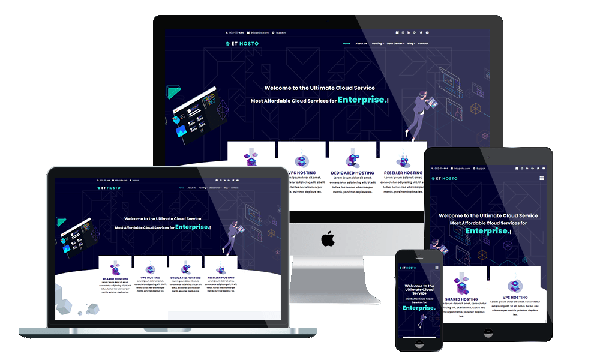 ET Hosto is a premium and free unique Web Hosting WordPress Theme that targets for hosting companies, hosting equipment and services, etc. Web Hosting WordPress Theme created neatly-arranged and visually effective design to better present different service plans and provide successful customer’s experience. It builds with Genesis Framework, shopping cart support by WooCommerce. Being totally customizable, these website designs will allow creating a professional looking website in nothing flat. 100% responsive design of these designs will ensure your online project will render well on screens of any sizes and resolutions. In particular, WordPress Hosting Theme is highly customizable WordPress theme with unlimited color options and a color picker in the admin panel. As you see, our Web Hosting WordPress Theme provide endless possibilities to promote your company. This theme is well documented, so you will save lots of energy turning them into unique websites. The world's favorite eCommerce solution that gives you complete control to sell anything, powers over 30% of all online stores, WooCommece plugin gives you the control to sell anything, anywhere, simple, and very flexible to extend. Whether you're just starting out building your Genesis site, or you need a brush up on where the things you need are located, it can help to review the basics of how our website framework works. This is a library that you can customize and has many features to help you create one child theme. Genesis Framework is WordPress Theme Framework being developed by StudioPress, it is a platform, a library for creating child themes (child theme).